One of my great pleasures is to volunteer at my son’s school. I have been lucky enough to be a math docent this year, and one of the activities I have been doing with the children is to create words and structures with base ten blocks then break them down to find out the value. This is a great hands-on way to work with the concept. At home, though I have no base ten blocks and between the expense and the shortage of storage space, I didn’t want to buy them. I decided to create my own so that I didn’t have to buy a set just for one or two activities. 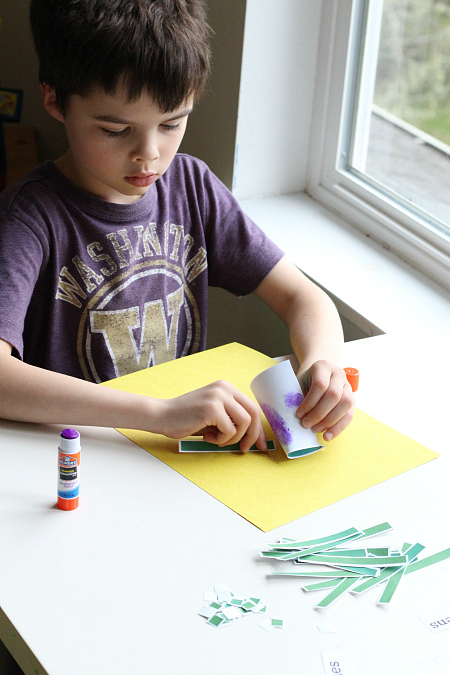 If I were a full-time homeschooling parent, I would probably invest in some but since this activity is one of our Learning After School activities for school-age kids I am using these PRINTABLES <— print here. I would stick to 2 place values and using only a few ( less than 10 of each) blocks without regrouping until the basic understanding of place values is mastered. Gather your materials. 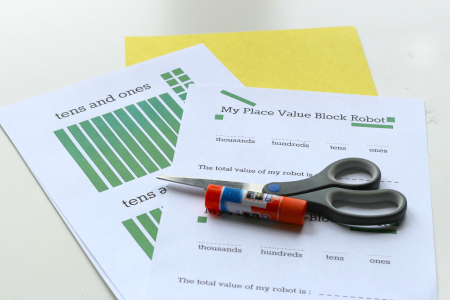 You will need the place value base ten printables or if you have the blocks you will need some one unit, ten unit and hundred unit blocks. 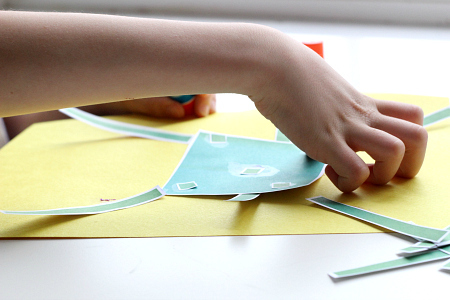 You will also need some glue, scissors , and a sheet of construction paper. 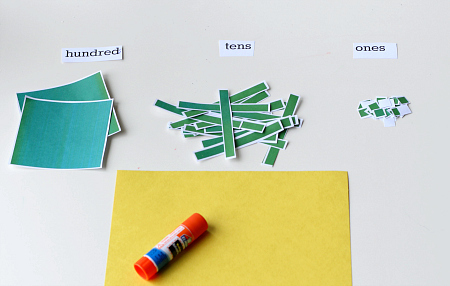 Start by cutting the place value printables out ( I printed them out as 2 5×7 pictures on one sheet) and getting them ready to create. 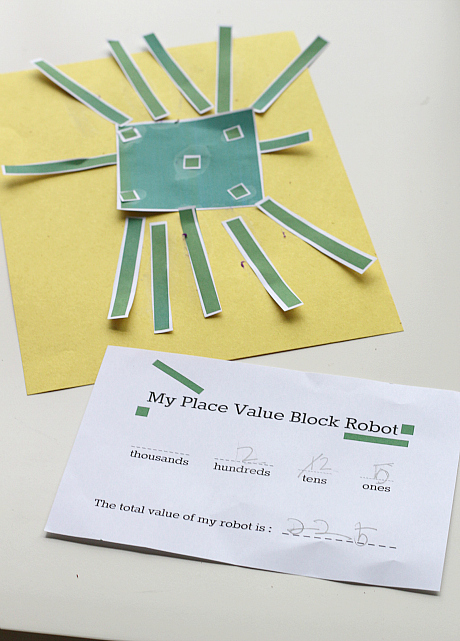 The goal of this activity is to create a robot and then count up how many ones, tens, and hundreds were used to create it. After that step you will figure out the total number of blocks used using re-grouping if need be. That will be the total value of the robot. Let’s say I used: 2 hundred blocks, 11 ten blocks, 14 one blocks. Using the worksheet, I will fill it out starting at the ones. I will keep 4 and regroup 10 over to the tens column where that 11 will turn into a 12. So at this stage, I have 2 hundreds, 12 tens and 4 ones. Next, I need to regroup the tens because I can’t have 12 tens. I will keep 2 and move 10 of those tens over to the hundreds column. So I will have 3 hundreds, 2 tens and 4 ones. Next, I condense the expanded form into 324 for the total value of units used to create the robot. If this is new to you, practice a few times before presenting this to your child. Most of us haven’t done math like this in a long, long time so be kind to yourself while you get reacquainted with it. 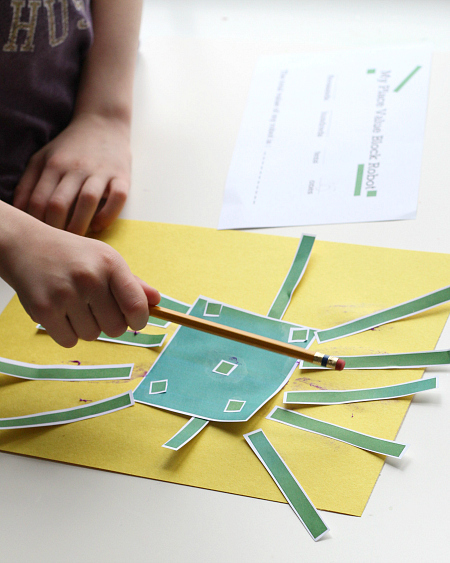 Welcome your child and start creating. Next count up your blocks. Encourage your child to count them as blocks saying 1, 2, 3, for all the place values, not just the ones. My son was counting the tens by ten and while technically the correct amount that skips the steps needed for this activity. 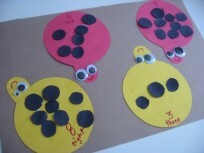 The whole point of this activity is to understand what numbers in each place mean. When you count like that, you may end up with the correct number at the end, but you won’t get a full understanding of place value. Now regroup if need be. When regrouping if you notice difficulty get the blocks out and physically show your child what you are regrouping. 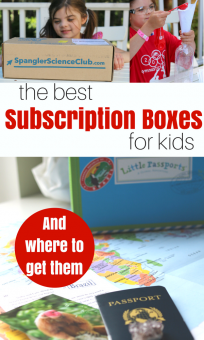 You may want to print out multiple sheets, so you have extras! If you are moving 10 ones into the ten column show your child tens ones, make up a ten rod and then become 1 ten in that column. Seeing the blocks can help kids avoid mistakes like adding 10 into the next column when she should be adding 1 ( dropping the 0 because of the move from one place value to the next). This is a common mistake but using the blocks helps with understanding. Write out the final value. In groups having kids compete for the largest value is a wonderful motivation. If you have the blocks working together to make huge structures is a ton of fun as well. 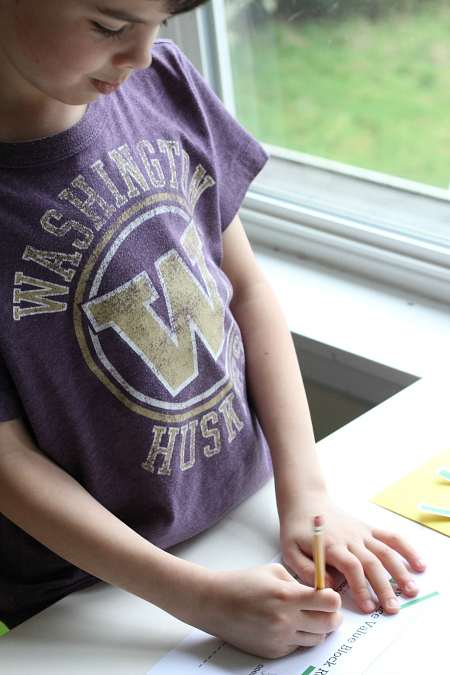 If you are frugal like me here is the link to the printables one last time. I love how math is so much more hands on now.